Arlington Family Dentistry accepts and welcomes Medicaid patients. A question often asked is, what Medicaid cover in regards to dental procedures? To begin with, Medicaid coverage usually varies from state to state. Coverage policies often change too, so the information below is just a general guideline. If coverage is a concern, it is best discuss your dental needs with our staff and Medicaid provider before getting treatment. 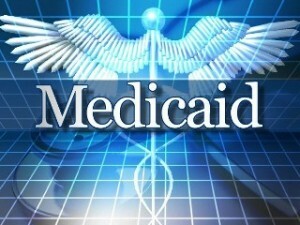 What Dental Services Does Medicaid Cover? In our experience Medicaid usually covers necessary mandatory treatment which does not include elective procedures. In other words, it generally covers the treatment of tooth pain and not cosmetic services. The goal of this treatment is to improve patient`s comfort level, remove them from pain and provide the easiest type of treatment. Most of these procedures will include extractions of the teeth, restorations, removable and partial dentures. Unfortunately Medicaid will not cover any “sophisticated” type of treatment like crown lengthening, implants, locators for removable dentures, etc. Includes: dental care, at as early an age as necessary, needed for relief of pain, infections, restoration of teeth, and maintenance of dental health. Includes: services necessary to control bleeding, relieve pain, eliminate acute infection; operative procedures which are required to prevent pulpal death and the imminent loss of teeth; treatment of injuries to the teeth or supporting structures; palliative therapy for pericoronitis associated with impacted teeth. Includes: instruction in self-care oral hygiene procedures; cleanings; sealants when appropriate to prevent pit and fissure caries. Includes: pulp therapy for permanent and primary teeth; restoration of carious permanent and primary teeth with silver amalgam, silicate cement, plastic materials and stainless steel crowns; scalings and curettage; maintenance of space for posterior primary teeth lost permanently; and provision of removable prosthesis when masticatory function is impaired or when existing prosthesis is unserviceable; and orthodontic treatment when medically necessary to correct handicapping malocclusion. Coverage is not determined by the value or the necessity of the dental care but by the type of service provided and the anatomical structure on which the procedure is performed. Currently, Medicare will pay for dental services that are an integral part either of a covered procedure (e.g., reconstruction of the jaw following accidental injury), or for extractions done in preparation for radiation treatment for neoplastic diseases involving the jaw. Medicare will also make payment for oral examinations, but not treatment, preceding kidney transplantation or heart valve replacement, under certain circumstances. Such examination would be covered under Part A if performed by a dentist on the hospital’s staff or under Part B if performed by a physician. Medicaid covers dental services for all child enrollees as part of a comprehensive set of benefits, referred to as the Early and Periodic Screening, Diagnostic and Treatment (EPSDT) benefit. Though oral screening may be part of a physical exam, it does not substitute for a dental examination performed by a dentist. A referral to a dentist is required for every child in accordance with the periodicity schedule set by a state. The Early Periodic Screening, Diagnostic and Testing (EPSDT) benefit requires that all services must be provided if determined medically necessary. States determine medical necessity. If a condition requiring treatment is discovered during a screening, the state must provide the necessary services to treat that condition, whether or not such services are included in a state’s Medicaid plan. Each state is required to develop a dental periodicity schedule in consultation with recognized dental organizations involved in child health care. Dental services may not be limited to emergency services for children entitled to EPSDT. Dental services must be provided at intervals that meet reasonable standards of dental practice, and at such other intervals, as indicated by medical necessity, to determine the existence of a suspected illness or condition. States must consult with recognized dental organizations involved in child health care to establish those intervals. A referral to a dentist is required for every child in accordance with each State’s periodicity schedule and at other intervals as medically necessary. The periodicity schedule for other EPSDT services may not govern the schedule for dental services. If you have Medicaid and are in the Arlington area, please consider our practice. We will do our best to make sure your mouth is healthy and you have the best smile possible. 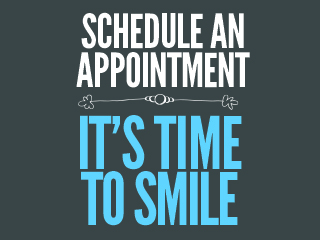 At Arlington Family Dentisty – “It’s Time To Smile”.